We have 86 SSEP students, teachers, administrators, and family members attending the launch of Orb-2, representing 6 SSEP Mission 5 communities: Teachers in Space (distributed U.S. National community); Howard County, MD; Kansas City, MO; New York City (NEXT+m), NY); Rockland County, NY; and Guilford County, NC. There will be 17 SSEP student researchers in attendance representing 5 flight experiment teams. NASA Headquarters has notified the National Center for Earth and Space Science Education that NASA Administrator Charles Bolden will be at the launch and specifically asked to address the SSEP Student Researchers on launch day. The SSEP Mission 5 Charlie Brown payload of 15 experiments will be aboard the Orbital Sciences 2 (Orb-2) vehicle launching from Pad O-A, Mid-Atlantic Regional Spaceport (MARS). MARS is a commercial spaceport adjacent to the Wallops Flight Facility, on Wallops Island, VA, operated by NASA’s Goddard Space Flight Center. 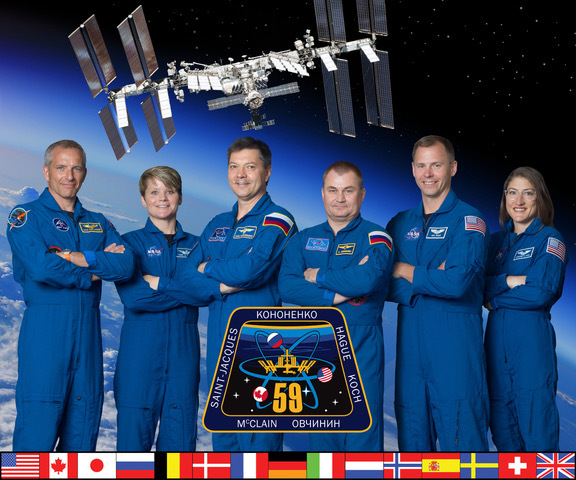 This page provides launch and travel information for SSEP delegations traveling to the launch. SSEP attendees will be viewing the launch from Arbuckle Neck Road, which is 1.7 miles from Launch Pad O-A. By comparison, the Wallops Flight Facility Visitor’s Center, which is the primary public viewing site for launches, is located 7.5 miles from the Pad (see Map). SSEP attendees are invited to sit in on NASA and Orbital Sciences formal briefings to the media at the Visitor Center on the day before launch. On launch day, prior to launch, NASA has also requested that NCESSE provide a briefing to the media, with SSEP student researchers providing an overview of their flight experiments (see Section D2 below for schedule details). The National Center for Earth and Space Science Education, and the Arthur C. Clarke Institute for Space Education, will be hosting dinner at 6:00 pm, Friday July 11, at the Chincoteague Diner in Chincoteague (see Section D2 below). Identified below are four restaurant locations. Wright’s Seafood Restaurant is 5.2 miles from the Pad. The three other restaurants are on Chincoteague Island. Fly in the day before the scheduled launch and be as flexible as possible so that after you arrival if the launch is delayed by just one or two days, there is still an opportunity to see the launch if folks can stay in Virginia for a few days. However, we recommend you DO NOT fly in on the day of the launch given any delays along your travel route may cause you to miss the launch.